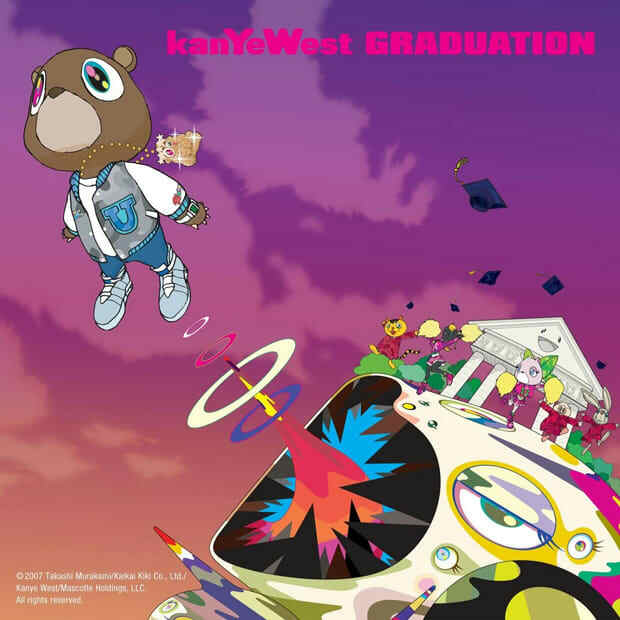 Graduation, Kanye’s third album, touched on a multitude of subjects as Kanye’s fame grew to levels he had not yet experienced. Whereas The College Dropout found Kanye detailing the struggles of an aspiring rapper and Late Registration delved into his initial brush with notoriety, Graduation saw Kanye celebrating his new life of fame. From writing hits to discussing groupies with Mos Def, much of the album is upbeat, mirroring the happiness that Kanye was experiencing in his own life. But perhaps the most notable track on the album came with Kanye at his emotional best, penning a letter to Jay-Z entitled “Big Brother,” where Kanye praised, but did not shy away from criticizing, the man he has looked up to his whole life. Here are the lyrics from Kanye West's Graduation.